Holy [REDACTED} what a finish!!! 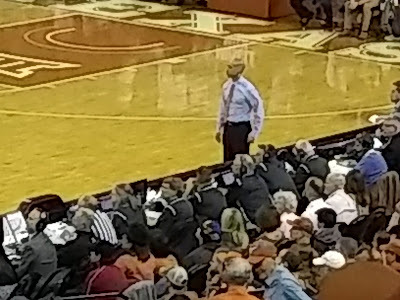 This author attended this evening's UT basketball game against Oklahoma. 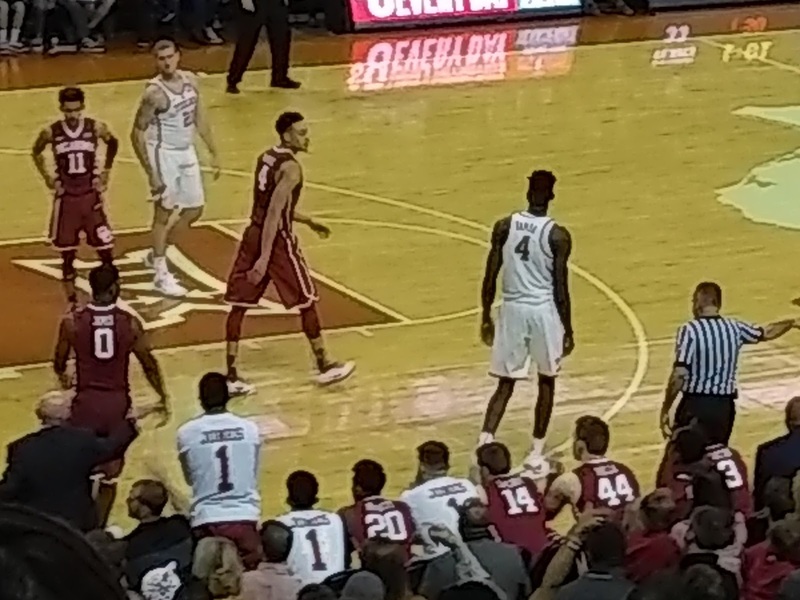 To be honest, for 35 minutes it looked like it was going to be the type of dumpster fire of a game that has become all too typical for this athletic department over the past five years. We spent most of the game pondering how we could spin the loss we assumed was inevitable to make it as politically painful for Greg Fenves (who was at today's game) as possible. Then the final five minutes happened. For most of the game, OU led between 5 and 8 points. The Longhorns would occasionally make a push, but OU consistently used superior effort on defense and higher percentage shot selection to maintain their lead. 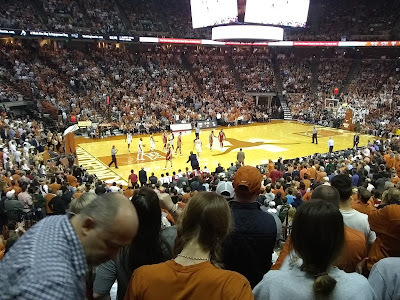 Everything seemed to point towards yet another one of those type of Longhorn games that have become all too typical across the athletic department over the past five year. Roach responded with a three-pointer before Texas cashed in with six straight free throws to tie the game at 66 with 5:39 remaining. 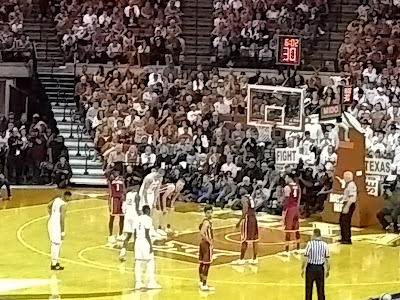 After a Young three-pointer didn’t find its mark the ensuing possession, Coleman continued his offensive hot streak, giving Texas its first lead since 10-9 with 5:01 left to play. After playing from behind throughout much of the evening, Texas was now the aggressor, utilizing high ball screens and isolations on Young for points at the rim and from the charity stripe down the stretch to assure the lead wasn’t relinquished. Much of that had to do with Coleman. 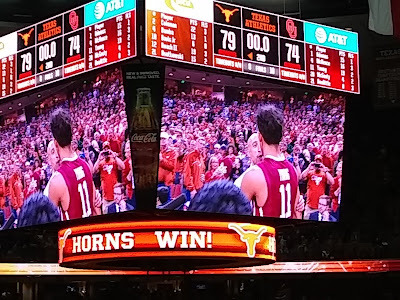 After missing three potential game-winning free throws against Texas Tech, the Longhorns freshman guard nailed all four attempts in the final two minutes to push Texas’ lead to 76-70. 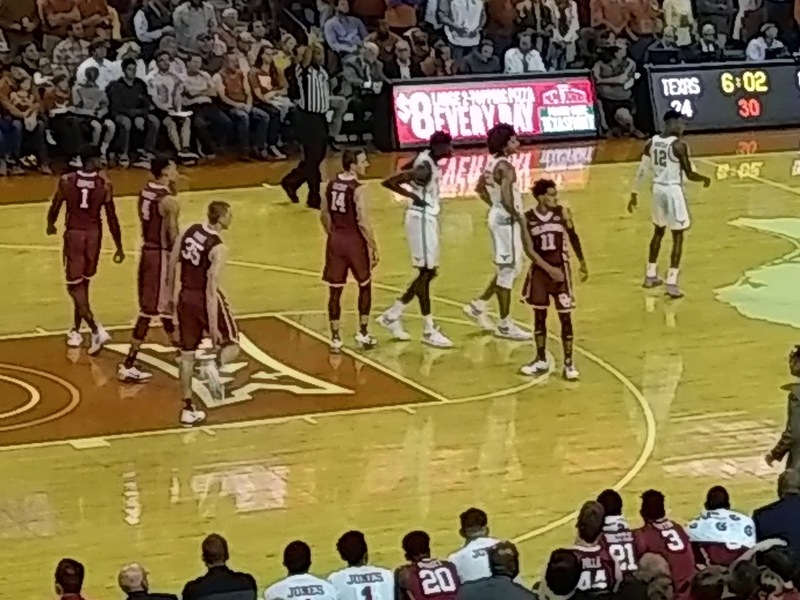 Of course, seemingly no lead is safe with the sharpshooting Young on the other end, but after a prayer from three fell short, Texas got out in transition for an Eric Davis Jr. lob to Bamba to seal the win, capping a 20-4 Longhorns run. Bottom Line: For the first time during the Shaka Smart era, the Longhorns had five minutes where their effort matched their talent. The results speak for themselves. Imagine what could happen if this sort of effort were delivered on a more consistent basis.